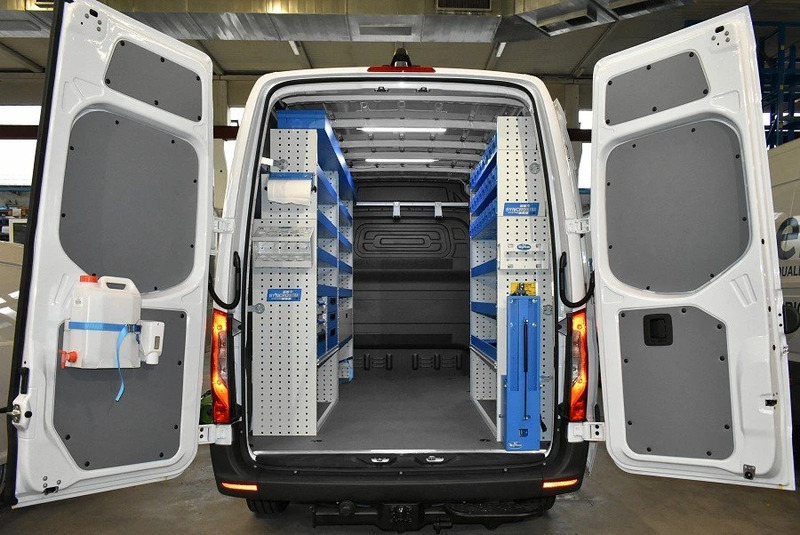 The first generation Sprinter was launched in Europe in 1995, built by Daimler AG of Düsseldorf, Germany, and sold also as Volkswagen LT. 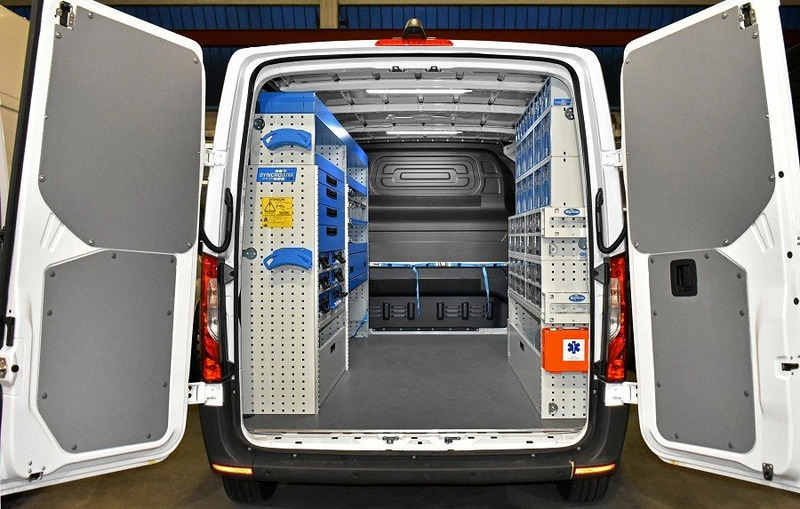 The current Sprinter generation was introduced in Europe in 2006 and it is also available as Volkswagen Crafter. 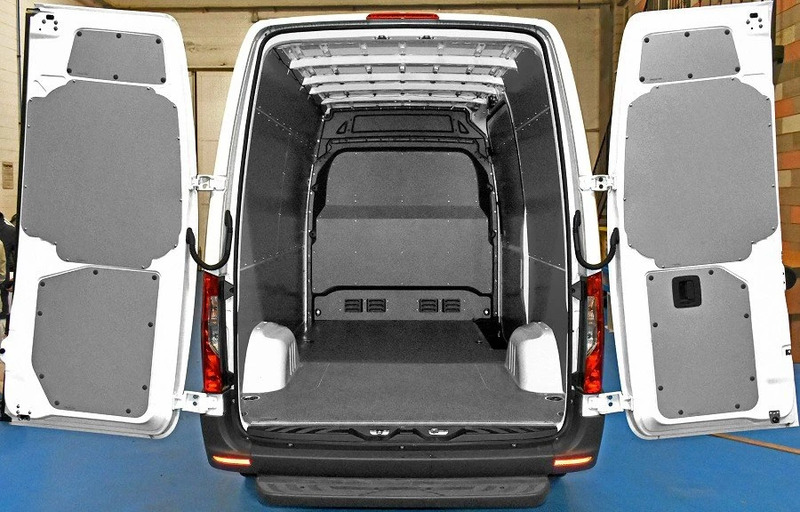 It is a large light commercial vehicle, similar to Iveco Daily since it is rear wheel drive, but unibody. 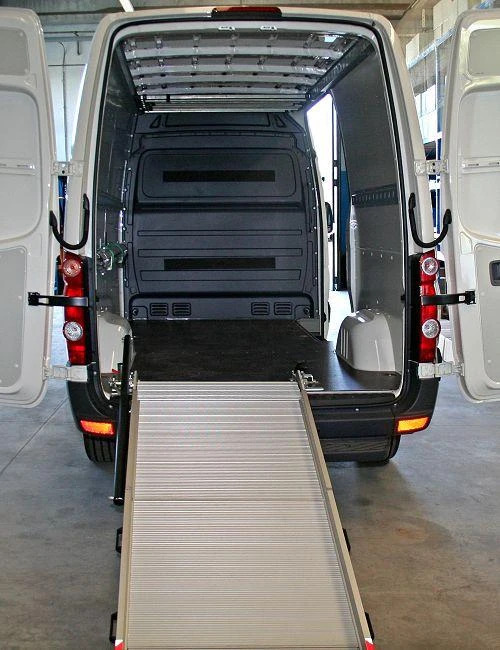 This features makes the van suitable for heavy transport, it has a higher loading platform than front wheel drive vans. 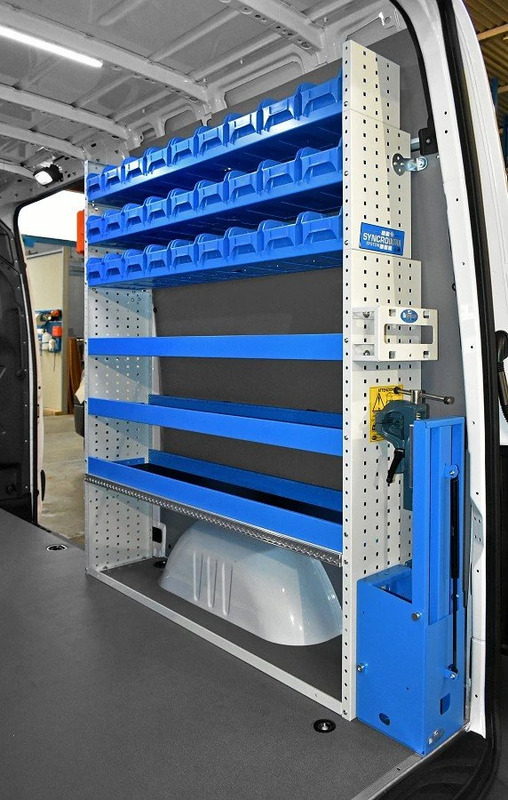 It is also marketed in North America under Dodge Freightliner brand name. 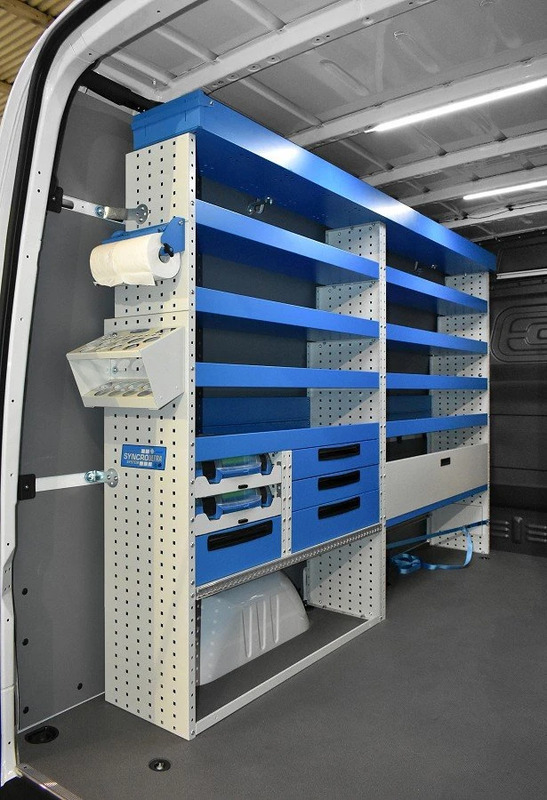 The wide and regular load area make this vehicle suitable for mobile workshop conversions, since once installed the racking and stored equipment and tools, there is still a large amount of payload left. 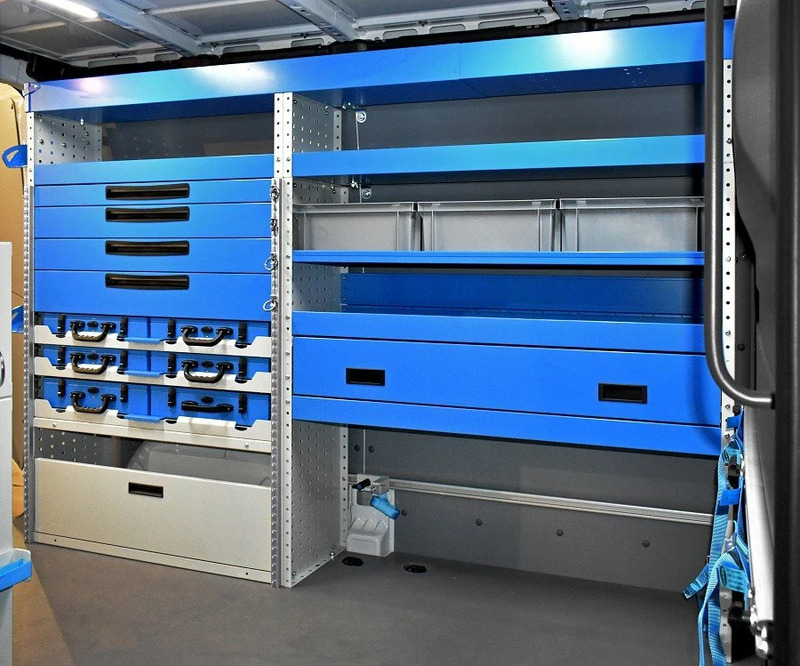 There are than drawer units, racks, shelves, workbenches, plastic containers, lockers, many useful vehicle accessories, loading ramps, roof and ladder racks. 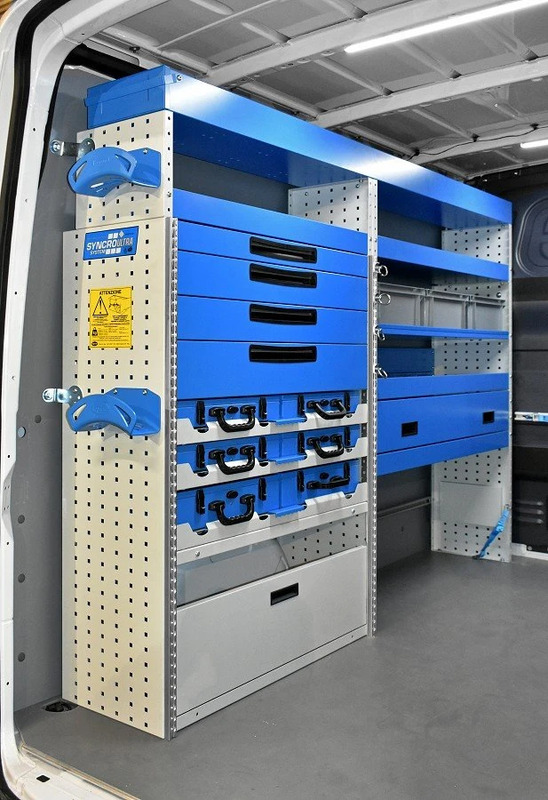 Here some other examples of van racking for Sprinter Mercedes. 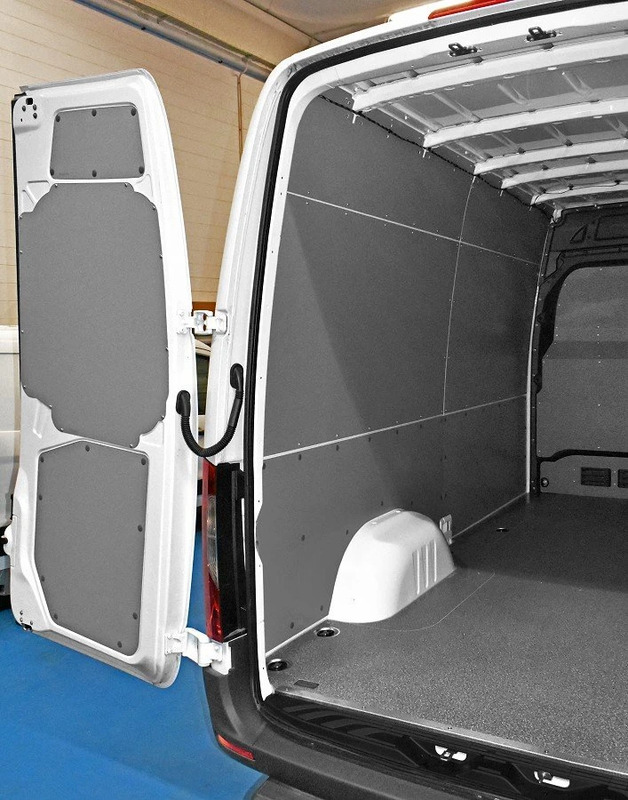 Sprinter comes sometimes provided with wooden floor, this is not usually the case of Crafter, Syncro System catalogue includes floors for Sprinter both in laminated marine wood or chequered aluminium, that can be anyway fitted in combination with that provided from van manufacturer for heavy duty use. 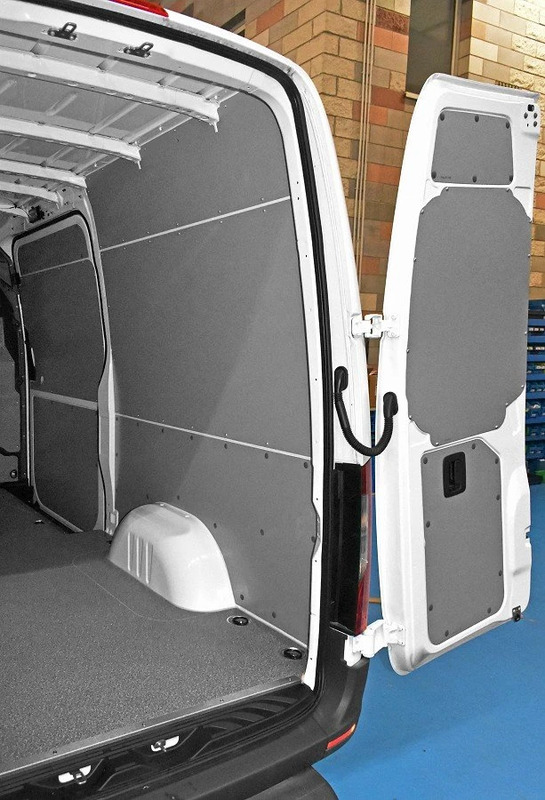 Tough side lining for inner protection are also available as kits ready for installation. 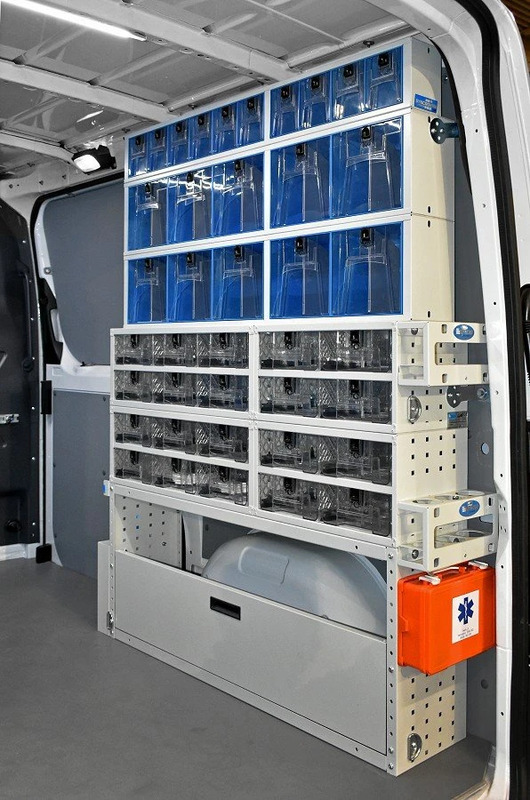 Syncro offers a full range of roof racks and ladder racks for Sprinter. 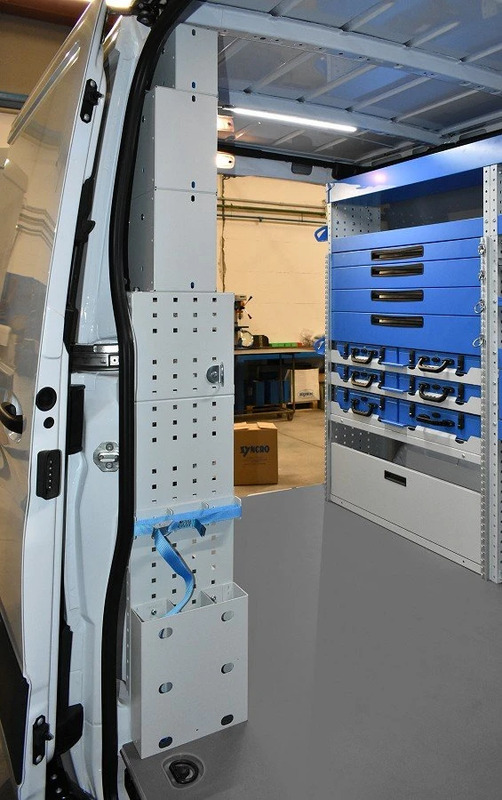 The roof rack system is modular and can be personalized to meet any requirement. 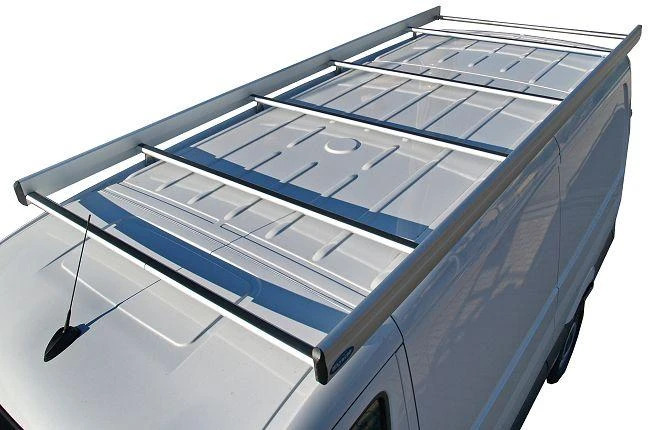 The exclusive bar with aerodynamic profile makes Syncro roof and ladder racks very silent. 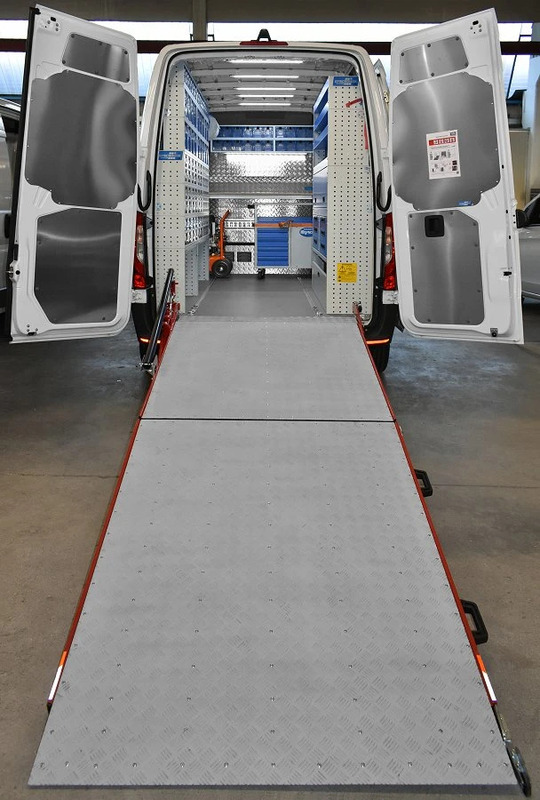 Wide range of loading ramps: various size and loading capacity from 200 kg up to 1.800 kg.